It's no secret that Vince McMahon is a wrestling genius. He utilized his business skills to take over most of the territories in the USA during the 80s, and turn the WWE into the biggest wrestling promotion in history. Vince McMahon has given us some of the biggest superstars in the form of Hogan, The Rock, and Austin. 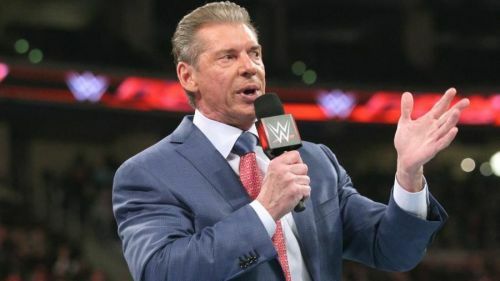 But the fact remains that over the years, Vince has lost touch with modern wrestling and is still trying to make his old formulae work in present times. The boss still has the final say in every major WWE match, and Vince has actually changed long term decisions at the very last moment. Let's take a look at 5 such instances. The main event of WrestleMania 34 was a rematch from the 31st edition of the show of shows. Brock Lesnar was set to defend his Universal title against the controversial superstar, Roman Reigns. The Big Dog was all set to finally dethrone The Beast and take back his Universal title at the grandest stage of them all. Roman Reigns came into the building that morning, with the knowledge that he was going to take the belt from Lesnar. On the go-home edition of Monday Night Raw, Paul Heyman stated that if Brock lost, the duo would be leaving WWE forever. The deal for Lesnar to stay was made on the same Raw episode, but his contract was signed on the day WrestleMania 34 aired. Reigns was informed that he was going to lose the match, as the plans had been changed. The WWE Universe, tired of Brock's "Reign of Terror", was expecting The Big Dog to finally rid us all of Lesnar's title reign. That obviously didn't happen as Brock left the ring with the Universal title in his hand, after delivering six F5's to Reigns. Reigns finally won the title from Lesnar at SummerSlam 2018 but had to relinquish it soon and leave the company to battle cancer. Even though Rollins is expected to slay The Beast this year, it wouldn't be a good idea to raise your hopes too high.